The 17th annual Western Design Conference Exhibition and Sale was held Sept. 10-12 at the Pavilion at Snow King Resort in Jackson Hole, Wyo. 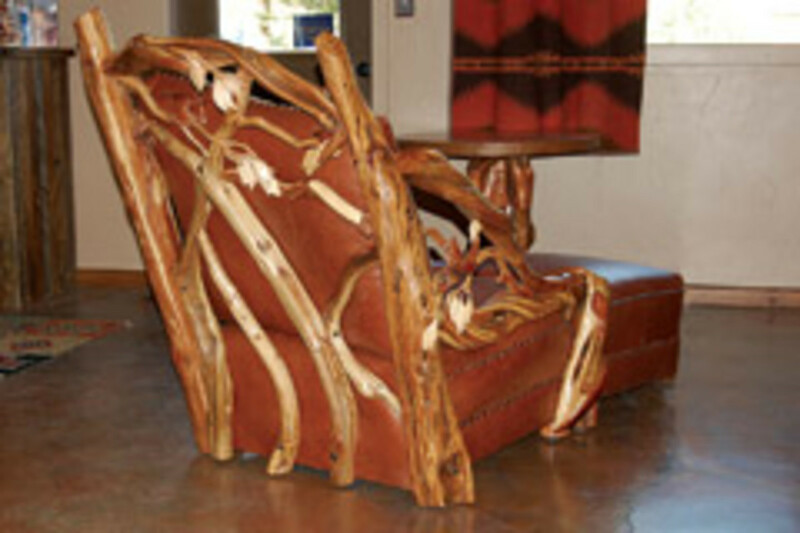 Approximately 100 artists, including 36 woodworkers, showcased one-of-a-kind functional Western art. Handcrafted works were judged in six categories and more than $21,000 in prize money was awarded to 16 artists in the juried portion of the exhibition. "This show was stellar," says conference director Nancy McCullough-McCoy. "The quality of the work went up fivefold. We had an excellent group of artisans and it was a good mix from fashion to woodworking, leather work, metal work and some nice glassware. Attendance was excellent; we had good traffic all three days." 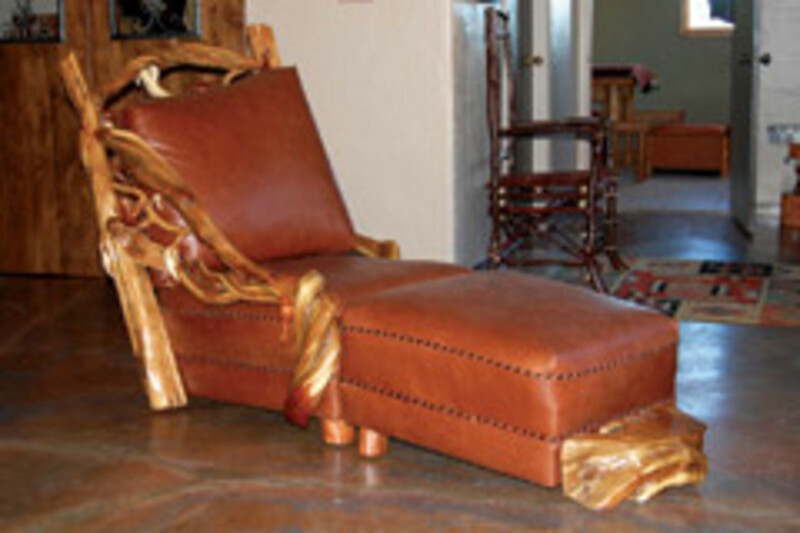 "I think Western furniture is holding its own, but there are new interpretations. It&apos;s not just about lodgepole pine and juniper anymore." Woodworking entries were judged on quality of craftsmanship (joinery, hardware, finish and techniques), execution, functionality, design appeal, effective adaptation of materials and originality. 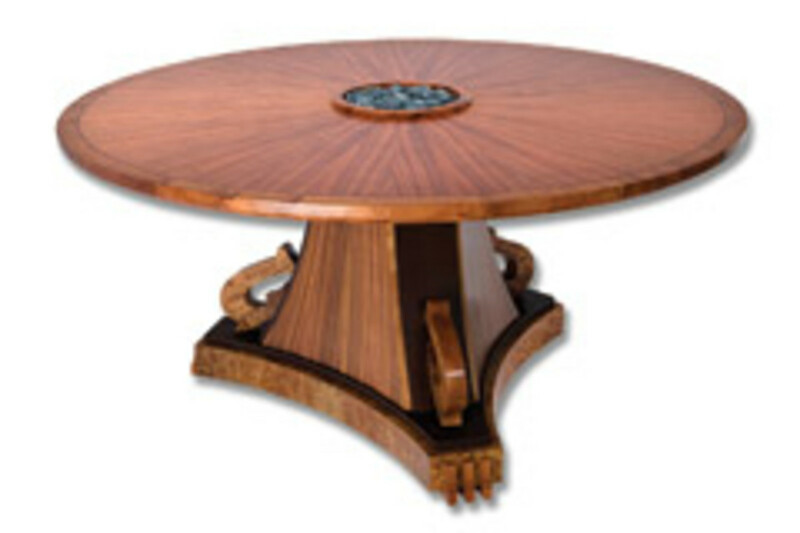 Five winners were furniture makers, including Lester Santos of Santos Furniture in Cody (Best Artist/Woodworking); John Gallis, owner of Norseman Designs West in Cody (Historical Craftsmanship); Jim and Sue Berkenfield of Berkenfield Design in Driggs, Idaho (People&apos;s Choice); Russ Jaconsohn of Russ&apos; Rural Rockers in Sparta, Tenn. (Exhibitors&apos; Choice), and Ricardo J. Zapata of Big Fork, Mont. (honorable mention). "This was the 17th year and we absolutely plan to continue and we&apos;re looking for an even better show next year. Our goal is to make this the coveted functional Western art show in the nation. "I think the best part for me was that we had a number of new fabulous artists," continues McCullough-McCoy. "That has to grow because we need to encourage young artists to come and do this. There is a lot of mentoring that goes on within the conference - the older artists talking to the newer artists - and that really inspires me." 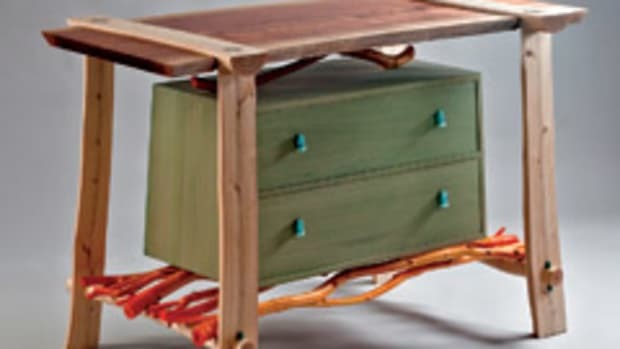 "Roots of Inspiration: Contemporary Functional Furniture," an exhibition featuring the work of 20 professional woodworkers from Hawaii, will take place Nov. 10 through Dec. 23 at the Maui Arts & Cultural Center in Kahului on the island of Maui. 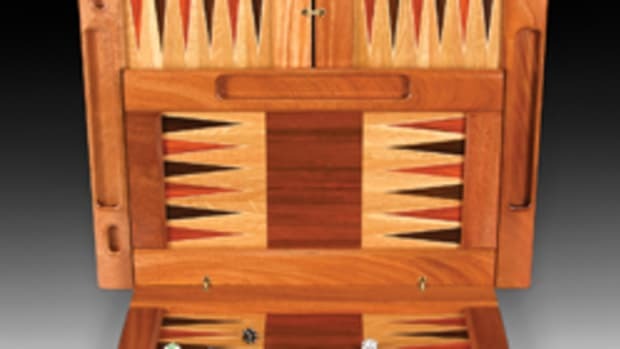 The invited furniture makers have been asked to create a piece of functional furniture based on artifacts, antiques or architecture of Hawaiian origin. 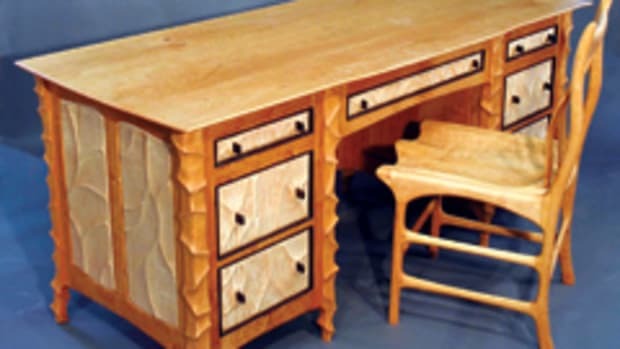 The theme for the show came from Maui furniture maker Peter Naramore and is based on a 1989 exhibition at the Museum of Fine Arts in Boston called "New American Furniture: The Second Generation of Studio," which challenged furniture makers to create studio furniture from antiques. The exhibition will be held at the center&apos;s Schaefer International Gallery. An opening-night reception will be held Nov. 8. 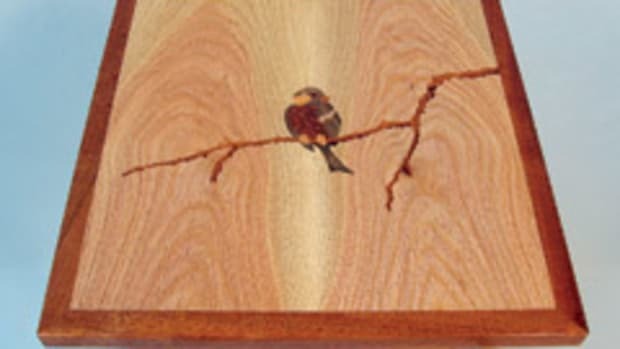 Eleven accomplished furniture makers and 16 others working sculpturally in wood will be among 190 juried craft artists participating in the 22nd annual Washington Craft Show. 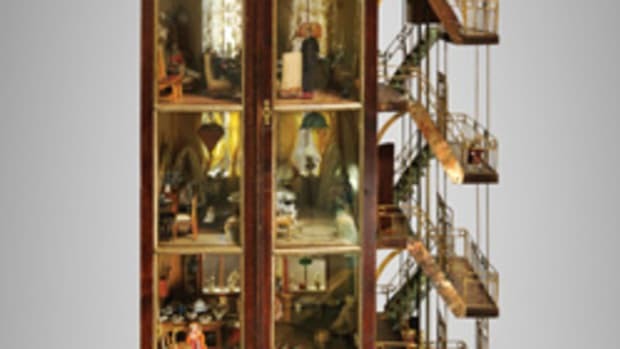 A national event of contemporary craft, the show brings together artists from 34 states and Washington D.C., Nov. 6-8 at the Walter E. Washington Convention Center in the nation&apos;s capital. 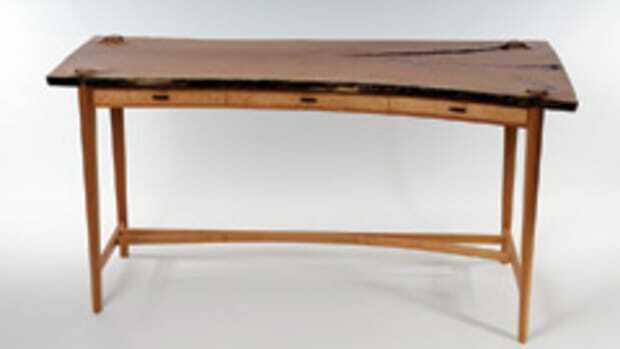 Furniture makers in wood and mixed materials appearing at this year&apos;s show include Ronald Dekok, John Dodd; John Reed Fox, Peter Harrison, Alan Lorn, S. Lloyd Natof, Jeffrey Oh, Judy Rand, Jo Roessler, Craig Vandall Stevens and Thomas Throop. 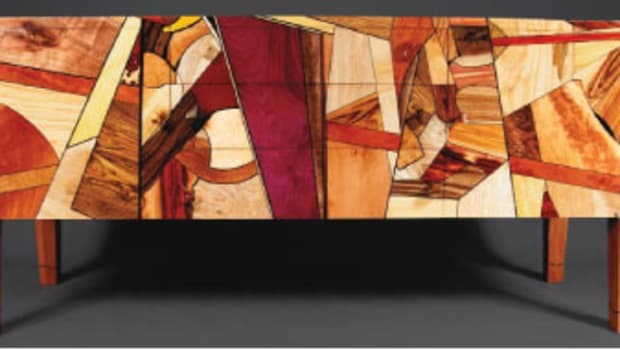 "Boxes and Their Makers," an exhibition showcasing wooden boxes made by 32 wood artists, continues through Nov. 25 at the Messler Gallery at the Center for Furniture Craftsmanship in Rockland, Maine. The exhibition has a companion publication, "New Masters of the Wooden Box: Exploring the Boundaries of Boxmaking," from Fox Chapel Publishing. "The makers of these boxes didn&apos;t go into their workshops because there was a shortage of containers in the world," says Peter Korn, executive director at the Center for Furniture Craftsmanship, in a press release. "Rather, they went into their workshops on voyages of creative exploration - to transform raw materials into expressive objects." Future exhibition venues include the Fuller Craft Museum in Brockton, Mass. 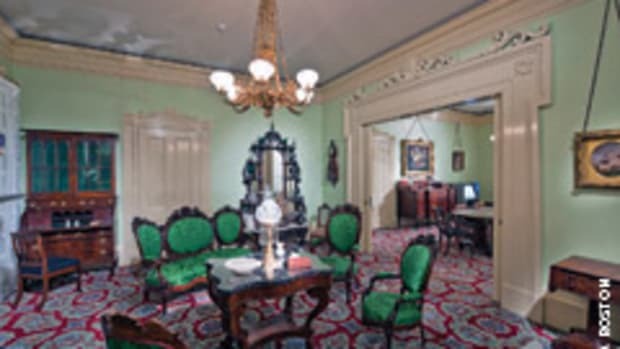 ; the Mobile Art Museum in Mobile, Ala.; and the Leigh Yawkey Woodson Art Museum in Wausau, Wis.